Shown installed to the main bracket. The come powder coated black texture just like the main bracket. 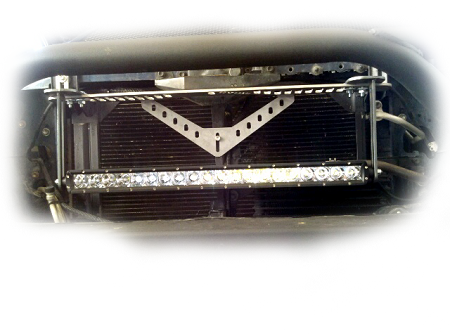 Due to to a surge of orders these grilles might take a few weeks to ship.